Last time I had played Assassin’s Creed —game it was around 2014 when Assassin’s Creed IV Black Flag came to PS4. I hated that game. I hated it so much since it was too broken in many ways and buggy as hell. It also was kinda difficult and I didn’t quite get it. After that experience I haven’t touched any Assassin’s Creed —games. 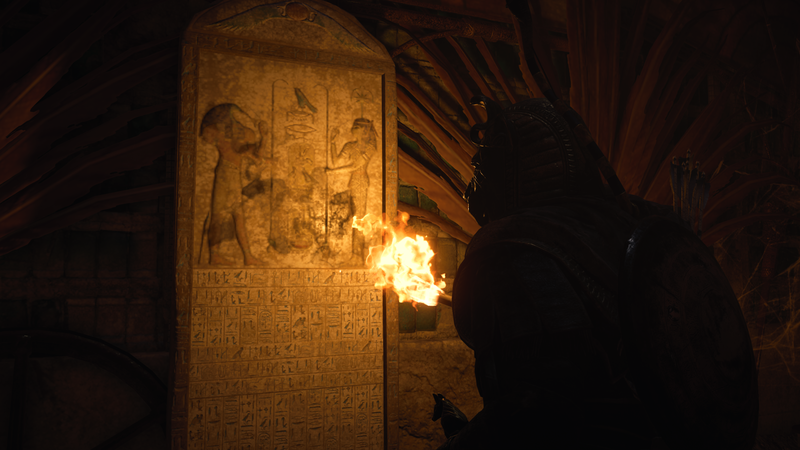 I have always loved everything to do with ancient Egypt and their lives and mythology, so I wanted to play Assassin’s Creed Origins since the game is centered in ancient Egypt. I saw many pics online about how beautiful the environment is and ahh… I couldn’t resist so I bought it at bargain price. Very first impression was how everything looked so luscious, detail oriented, colourful and vast. The playing mechanism was little bit different this time and it was easy to go into. Yes, the controls are good and seems like lot of things were removed what there was in other AC games. It was super good decision since I remember vaguely how complicated controls used to be (not talking about the first Assassin’s Creed —games). 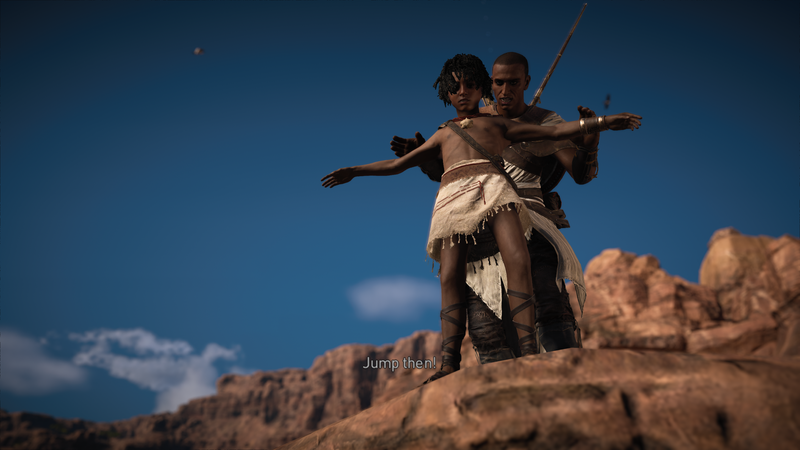 In Assassin’s Creed Origins everything was simplified but still had lots of different moves and things to do. I can’t recall anything ‘new’ in the controls since I have barely played any recent games. Like in Uncharted series — so does Assassin’s Creed (Origins) —games have kind of cool but sometimes super annoying magnetic attachment system. By this I mean player can climb along almost any wall, pillar, whatever that even look remotely climbable by jumping towards it. 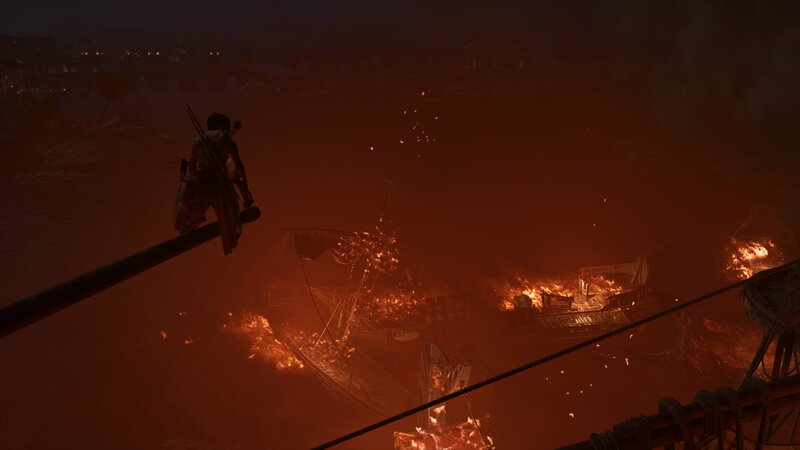 I’m not sure but some older Assassin’s Creed —games had only certain surfaces the player could climb only. If that was the case I think this simplification in Origins was another improvement. But with that magnetic attach system player sometimes get stuck on somewhere or can’t move properly and I think it’s understandable since the game world is HUGE and there is thousands of walls, houses, roof, pillars, cliffs to climb on so it would almost be impossible developer to try every inch of the game world that it’s working properly. OK, this is one of my favourite part of the game. 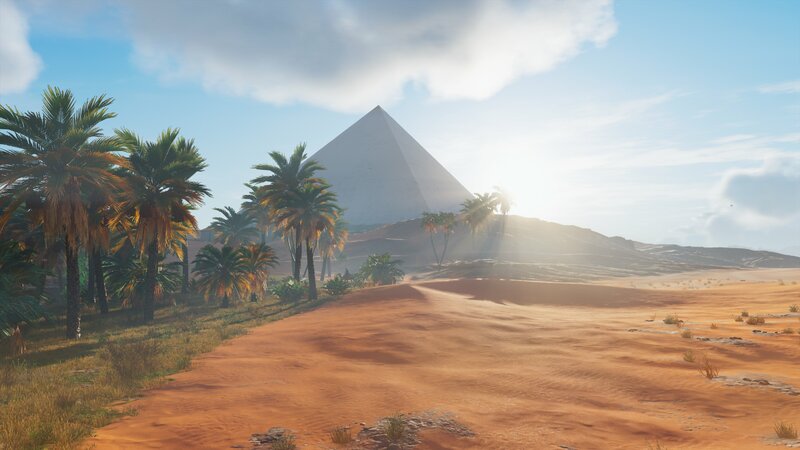 Assassin’s Creed Origins is the first game if you look at it from timeline percpection, this game tells how everything started in the first place. 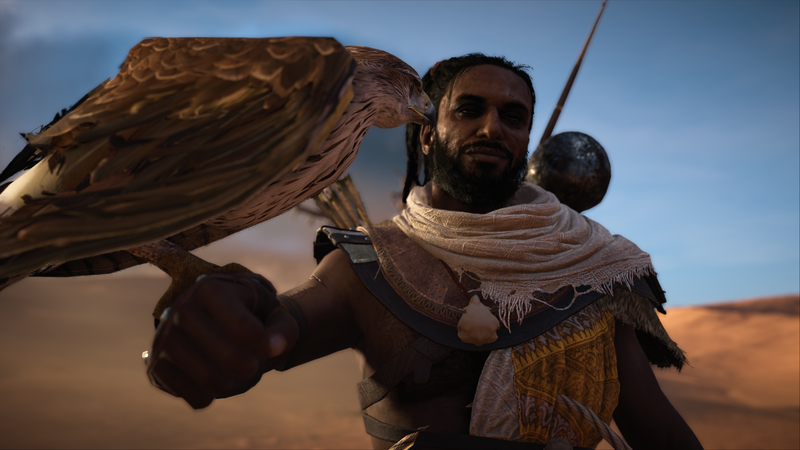 The story is in ancient Egypt and tells of a man called Bayek whose son is killed by some elite of the time of the era (20-70 BCE) and he goes on vengeance with his wife. The story goes deeper than that as they get mingled with higher authority and they find more and more about this incident that it wasn’t just a random killing. Soon they began to be assassins and get mixed with Egypts royal battle as of they need to help Cleopatra to help in her way to overtake the crown. The story is also told with tons of side missions that player have to do since enemies start to get more difficult to put down so you need to go and do side missions or errands to gain more exp. and therefore another level. When doing side missions they doesn’t interrupt the actual story, the side quests are well written so they will get along with the whole story and game itself. At a first glance everything looks absolutely breath taking. 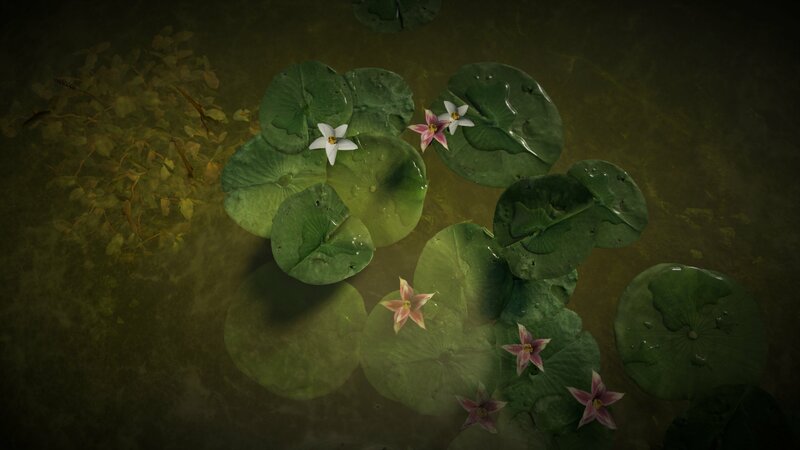 The environment is luscious and detailed as hell and seems like there is no same place twice in anywhere in the game. I’m totally not exaggerating since I always take notice of the background as I play and developer seem to have give so much effort to bring these places to life and not looking copy–paste. This was one of my favourite things in the graphics and game world but when I looked things little bit closer they got instantly a mush and everything looked kinda dated. Also the difference with high quality items/objects and low quality was too obvious, it made everything look off. But as I noticed the drawing distance is long (but not good) and the amount of the details and items around you maybe is the reason why they had to drop the resolution down a notch. If you look everything three steps back it is most beautiful thing you could see. Sometimes I even walked around and forgot about the mission and gazed around. Every place was like a new one. It was simple to jump into the game and it gradually showed how to do things and by upgrading your character you’ll learn new moves. I didn’t unlock all of them but at least 70% I would say. 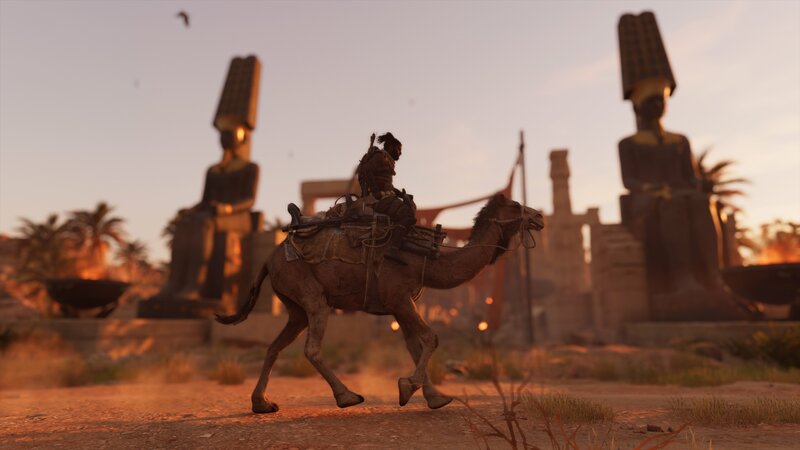 Assassin’s Creed Origins contains tons of moves but they all make sense, I don’t know how to explain it but some games have too many moves (for an example I’m looking at you Nioh) but this one had everything basic you’ll need to start your assassination spree. I found lot of weapons and things that I never used but it was an option and I need to thank the developer for that. Swords, knifes, bombs, bows, spears, shields and so on but I mainly used just sword and heavy weapon and some good shield that I upgraded heavily. Player can upgrade things such as open another slot for secondary weapon, so there can be two bows (bows had different features) and two slot for swords or/and heavy weapon like an axe. The game world is huge and the map is blurred of the areas that you haven’t been yet. I only covered about 3/4 of the map since the main story didn’t go to those other areas. I’m not saying I played only the main story but as I said player need to grind little bit. Every enemy is tagged with their health meter and level they are currently and if you are even 2 level below it might be impossible to beat the enemies. So it was frustrating to do some errands I didn’t sometimes want to do especially towards the end when the game felt like it’s gonna end but it didn’t and after three hours I thought it’s gonna end but it didn’t and after four hours I finally got to the end. Blaah. So the game felt a way too long or longed. I played 31 hours and that covered only the main game, not talking about the side missions (plus there is at least two DLC maps to buy). Playing this 31 hours in a span of 4 days it started to feel super repetitive. I would’ve liked some other things to be incorporate with the game but mainly you just need to rescue someone, kill someone, or bring some item from restricted areas that are those places where you need to go in bushes and assassinate soldiers until your mission is completed. I, sometimes, was so over with them that I just walked in from the main gate and started to kill soldiers with my sword. 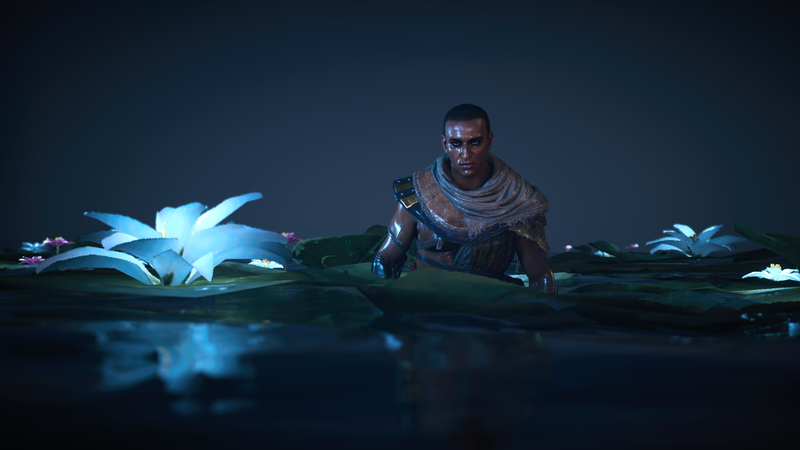 Assassin’s Creed Origins also includes many mysteries that I didn’t solve. Sometimes I found a tomb but didn’t know/find how to open it or if I was too long in the dessert I started to see and hear things. Many weird things happened that I couldn’t explain (like my life is). One thing what bothered, well, annoyed me was how similiar the voices was with the towns people and they repeated the same things all over again. I felt like it could have been done little bit better, not more voice actors but more things they would’ve said. Everyone that was non-important to your guest or you couldn’t interact anyway (other than run them over by running or with a camel) spoke Egyptian language and those who were more important to you spoke english. It was good choice that only important ones could speak English since otherwise it would’ve been too much noises and no one to really listen to. The wildlife was crazy!! Lions, panthers, rhinos, antelopes, hyenas, crocodiles flamingos… all different kind of African animals roam the wildlife and I killed them because I needed their skin to make upgrades. Shame on me. It was rather easy to find them with the using the eagle and some places were marked as animal lair or area. This game has a photo mode as well and it was interesting since I wanted to take pictures of all kind of things I saw but the options and effects was bad and didn’t work that well. It was lacking many things than other games have (e.g. Horizon: Zero Dawn), but main thing was that I could stop the game almost any point and take a shot. In the map I could watch other players’ taken photos of that specific location. 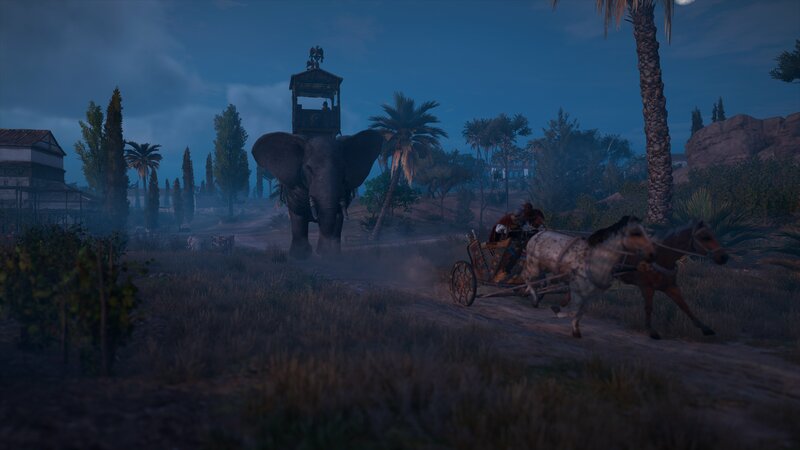 As I mentioned I had little misunderstoods with the previous Assassin’s Creed —games so I played this as Easy. I could’ve choose Normal or Hard, but I didn’t trust this thing!! If I would’ve chosen Normal I think I could’ve managed but everything could’ve taken much more effort or much more side questing to get level ups. (I usually never play as Easy since I always want the ‘normal’ experience in games because it feels like that’s the way developer has meant it to be.) The enemies won’t level up with you so if you gain high levels in early in the game then it might be rather easy in normal/hard setting. I personally didn’t find anything overly difficult in this. All the places were on the map and there was waypoints but sometimes important waypoints got mixed with all the other ones and it felt like a hassle. I noticed it had a little tiny ‘bug’; when I got a new mission and I started it, the mission didn’t updated to the map or got any waypoints until I many times turned map on and off or waited some time. Places was rather easy to get when it seemed that every house had a alley or street or some other way to get forward so it wasn’t running around huge blocks. Lastly I think this is fine game but it feels too long(ed) and repetitive. I could forgive this crime if the game would’ve been 15 hours long but doing these almost same things 4 to 5 days was a bit tiresome. Beautiful this surely is and they had to dig deep into the Egyptian mythology and history. I think I learned so much of ancient Egypt than I have ever before. All the different gods and curses. Or course the detailed things and all what happened between people wasn’t real but the mythology part was very interesting to read/listen. I never run a game though, I always want to search every inch and secret there is but sometimes I need to make rational decisions and with this I decided to just play the story part. It would’ve taken at least another 30 hours to complete the whole thing. And ain’t anybody got time for that!! After finishing this I was relieved but also I want to do all the side missions, open the whole map, see all the other beautiful places, buy all the add ons (new areas on the map) and play this though but right now I’m happy this adventure is over. forgot about the mission and gazed around. Every place was like a new one.